Honda Philippines, Inc. (HPI) officially sends off international rider Troy Alberto to Idemitsu Asia Talent Cup (ATC) and the Honda Thai Talent Cup, premier international races in the Asian region that use the Honda NSF250R, a bike made especially for racing. The send-off event coincided with the grand opening of the Flagship Shop in Makati City, one of Honda’s latest shops in the country. 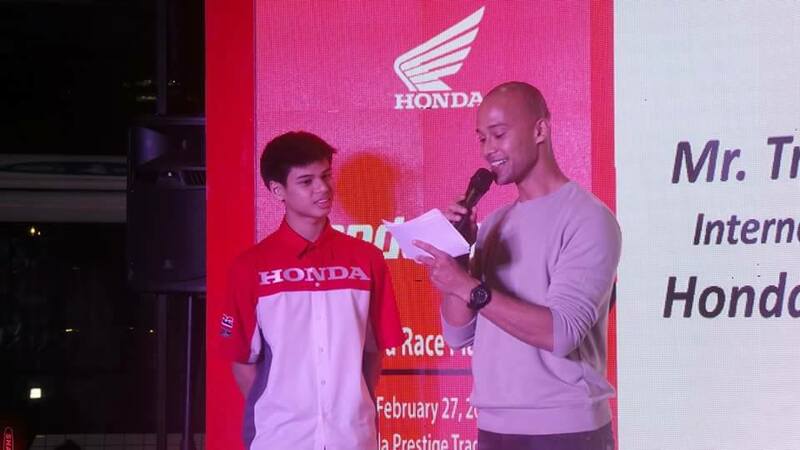 It gathered HPI executives, as well as bike enthusiasts to promote racing in the Philippines. The event was hosted by actor-model Will Devaughn. 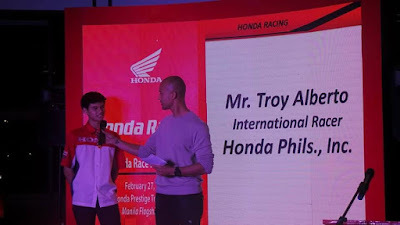 The only Filipino selected to take part in ATC, Alberto completed a series of try-outs last August 2017 and begun with test races in Malaysia last February 19 to 20. The race, which will run for several months, will have six rounds and will be held in various locations including Thailand, Japan, and Qatar and will begin on March 16. Alberto also qualified for the Thai Talent Cup, and will begin competing in April. The races aim to hone racers that will eventually compete at the Motorcycle Grand Pix (MotoGP). 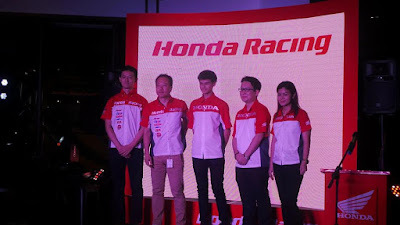 Daiki Mihara, president of Honda Philippines, said Honda has always been dedicated to helping develop and cultivate talents from the local racing scene. “We believe in helping young, talented racers like Alberto by providing them a training ground to hone their skills and propel them to the most prestigious international competitions,” Mihara said. In line with Honda’s globalized goals in motorsports, it also upgraded its Flagship Shop’s extensive lineup of services and activities for riders. The shop, which covers a total land area of 640 square meters, was the stage in which Alberto was formally introduced to Honda riders and local motorsports fans. 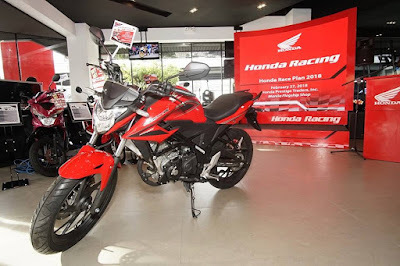 The Flagship Shop features an extensive, multi-rack display of Honda products, a well-appointed riders’ lounge, and a test ride area. These facilities are intended to showcase Honda’s cutting-edge motorcycles, with a sports segment complete with models that have MotoGP DNA engines designed and built with the power for racing. The shop also features innovative power products and genuine spare parts. Now, it boasts of its enhanced features, such as the service and spare parts center, to accommodate all riders’ needs. HPI will also be hosting the Happy Honda Days activities at the Manila, Cebu and Davao Flagship Shops to invite more riders to visit and experience the shops’ offerings and give back. 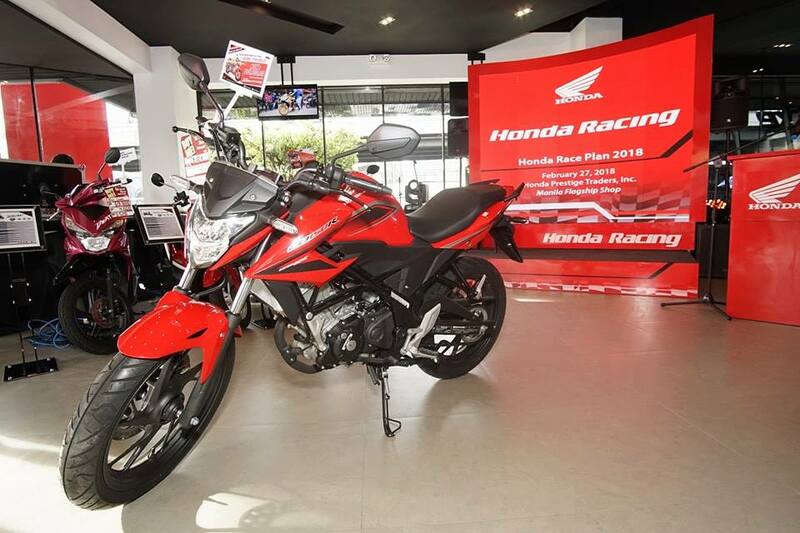 The activity will start on March 2 and will include free learn-to-ride and test ride sessions of Honda’s motorcycle models, as well as refreshments, games and giveaways. The Flagship Shop is located at EDSA Corner, Harvard Street, Barangay Pinagkaisahan, Makati City, and is open from Monday to Saturday from 8:30 A.M. to 5:30 P.M.
With its presence in the international racing scene and its extensive Flagship Shop services and activities that accommodate MotoGP DNA bikes, HPI is set for full support to its racers and loyal riders.